We usually capture personal moments in order to transcend our limits of memory, we strive to transcend the death of moments in the continuum of time, and for a retainable vivacity and presence. “Stay with me” primarily functions as an intimate visual reference to certain pivotal instances of my life, a reference that strives to retain its presence and persistence. It can be conceived as a mirror image of these remnants of my personal history, filtered through an intricate interaction with the depicted moments of strangers that are neither here nor now. The project conceives the photograph as an infinite representation of the self in a realm of tremendous solitude, thus, through the analogue of focal personal instances, these representations and their photographic designation allow for a reconstructive synthesis of my own very personal moments and the moments found in the frames of these foreign lives. 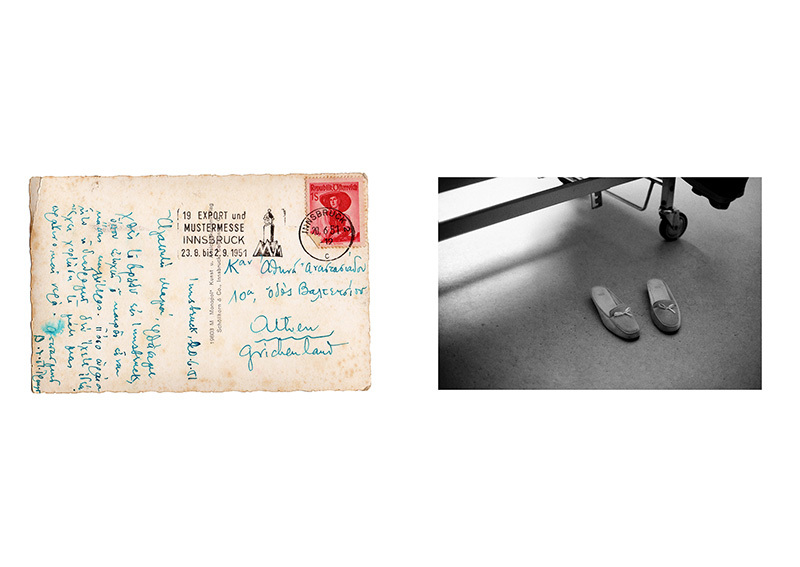 Τhis synthesis manifests the conjuncture attainable by the significations of these photographs –as conceived by the writing found on the backside of these photographs– and my representations of absence, death, loss, the disappearance of time and life.